The laggard of the Modern Family throughout this rally has been the Retail Sector ETF (NYSEARCA: XRT), which mainly represents the brick and mortar stores. 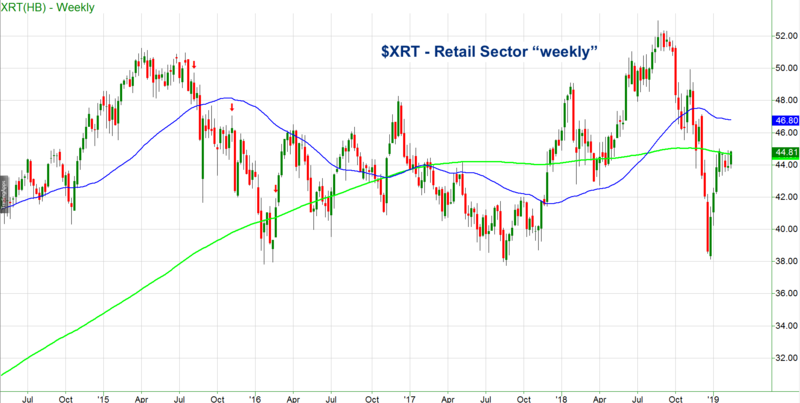 While the rest of the Family (Russell 2000, Biotech, Transports, Regional Banks, and Semiconductors) have been trading over their 200-WMA (week moving average), the Retail Sector (XRT) has not. Plus, honorary mention goes to Semiconductors (SMH), now above its 50-WMA, provided it holds above 101. 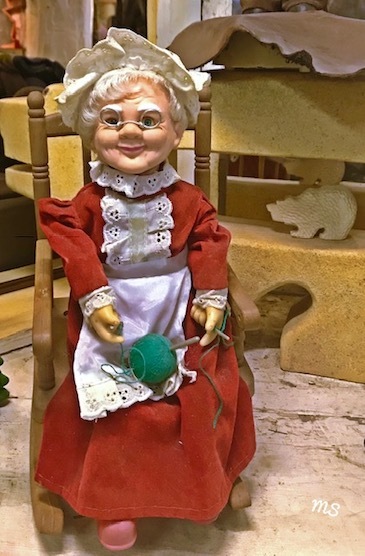 So, when retail stocks (XRT) finally cleared the 200-WMA at 44.66, she put her bear totem on the shelf. Dow Jones Industrials (DIA) – Has the move to 254.35 excited the bulls? It closed just above which makes it pivotal for tomorrow. Nasdaq (QQQ) – 170.14 cleared exciting the bulls.171.74 the 200-DMA. KRE (Regional Banks) – 55 now pivotal with 56 next resistance. SMH (Semiconductors) – 101 key pivotal area on weekly chart with 100.35 support at the 20 DMA. IYT (Transportation) – 185.37 now support with 189.65 the next bigger resistance point. XRT (Retail) – 44.66 pivotal for the week. 43.50 the must hold spot. 46.80 resistance.